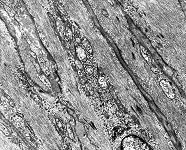 Actin filaments (Terminologia histologica: Filamenta actinia) are the microfilaments of the cytoskeleton. 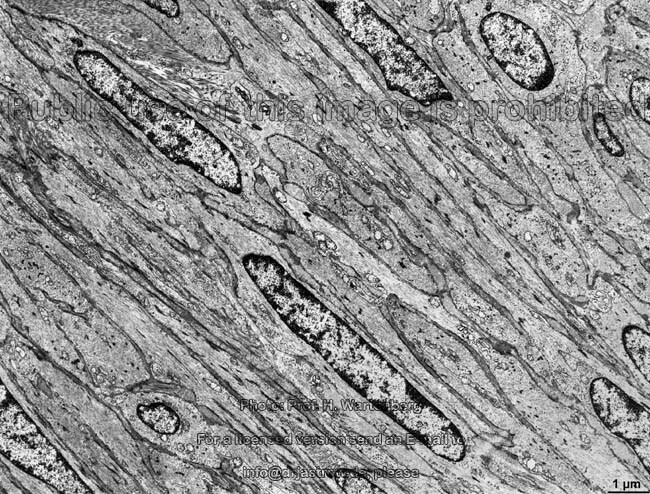 They are present in all cells and comprised of two fibrils helical winding around each other. These fibrils form by polymerisation of free actin molecules, which have a molecular wheight of 42 000 Dalton (Da). 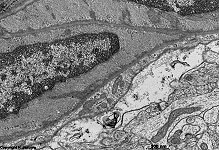 group 1: 30 KD protein (33.000 Da; pseudopods, stress-fibres), EF-1a (50.000 Da; pseudopods), Fascin (55.000 Da; pseudopods, stress-fibres, microvilli, acrosomal processes), Scruin (102.000 Da; acrosomal processes). 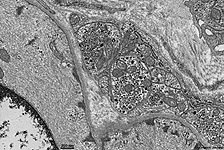 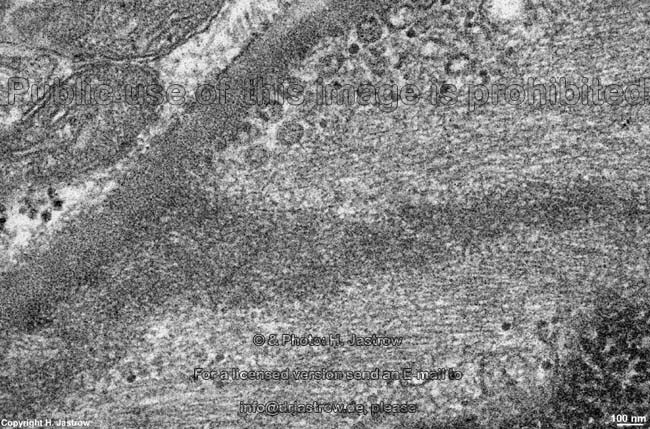 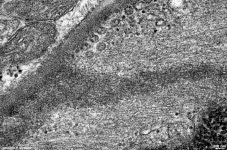 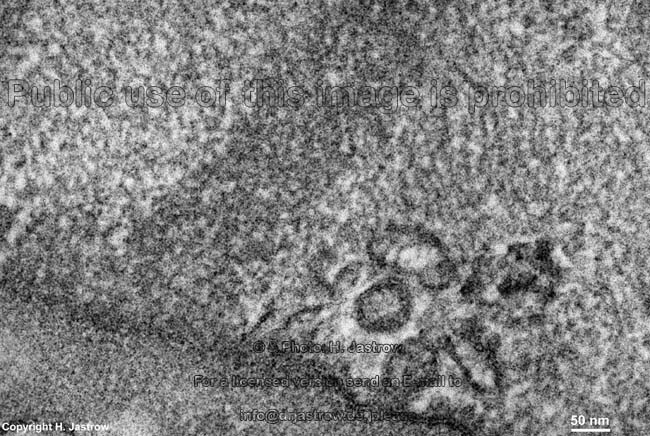 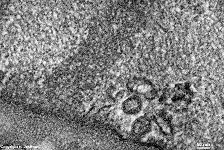 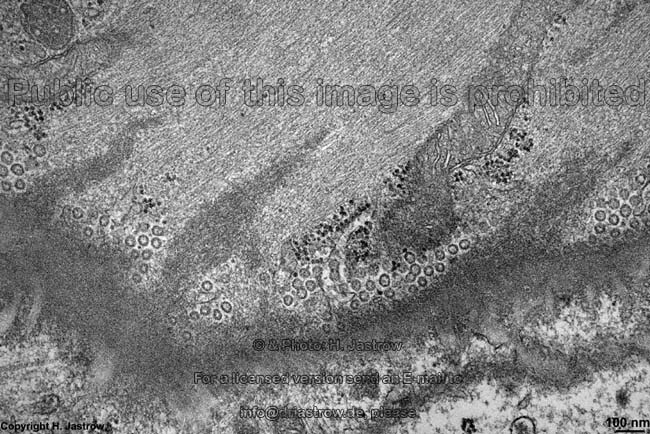 group 2: Villin (92.000 Da; microvilli of enterocytes in gut and renal tubules), Dematin (48.000 Da; red blood cells). 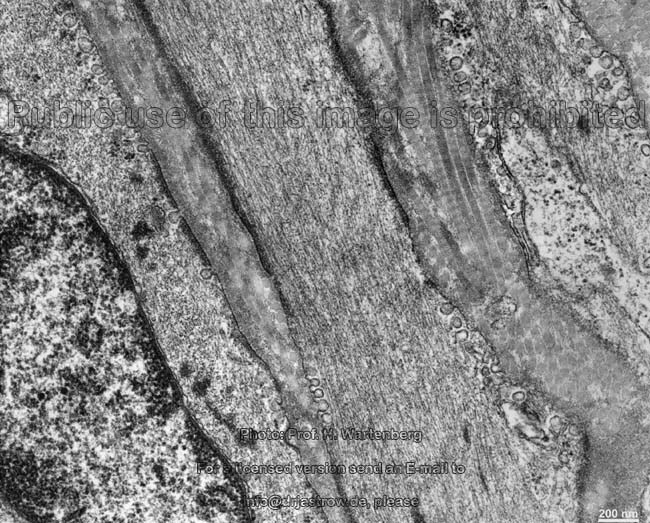 group 3: Fimbrin (68.000 Da; microvilli, stereovilli, adhesive strips), alpha-Actinin (102.000 Da; smooth muscle cells, stress-fibres, pseudopods), Spectrin (alpha subunit: 280.000 + beta subunit: 246.000-275.000 Da; terminal web), Dystrophin (427.000 Da; cell membrane close meshwork in striated muscle cells), ABP 120 (92.000 Da; pseudopods), Filamin (280.000; pseudopods, stress-fibres). 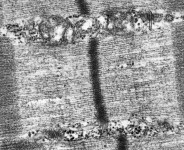 The term contractile filaments is used for both, actin and myosin filaments together, in muscle cells. 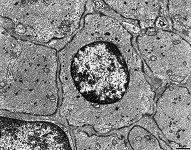 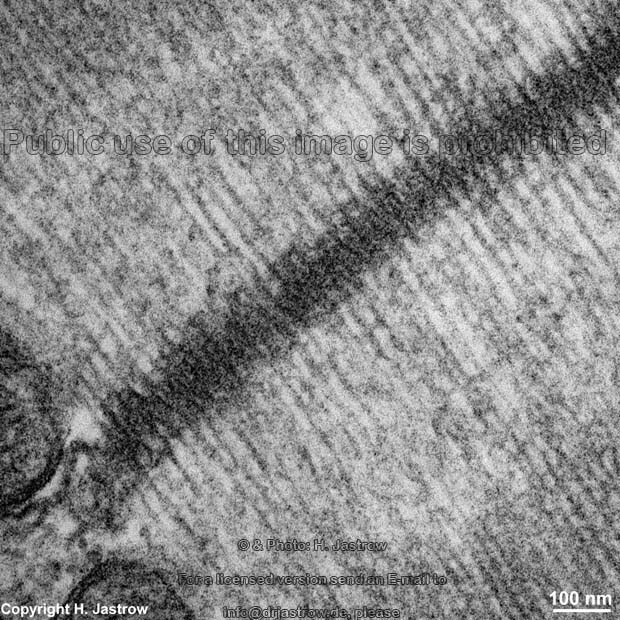 These contractile filaments cause contraction of these cells which finally bases on a knicking of myosin heads. 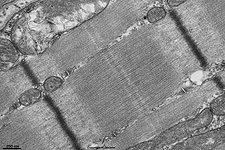 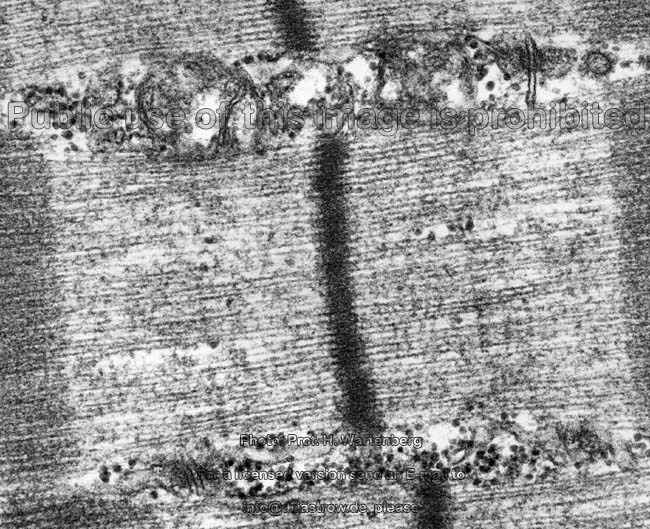 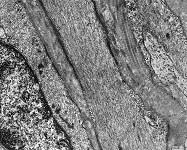 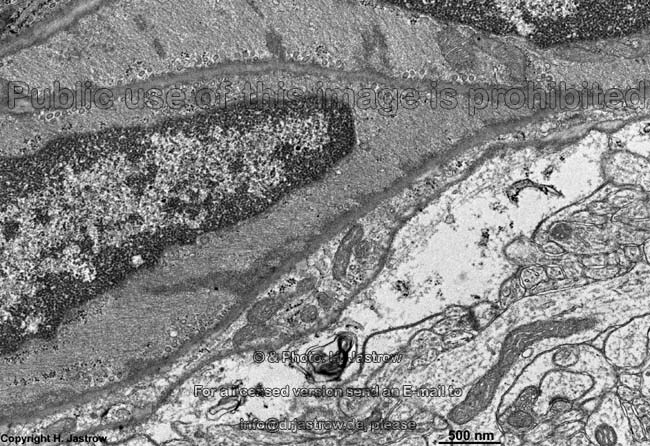 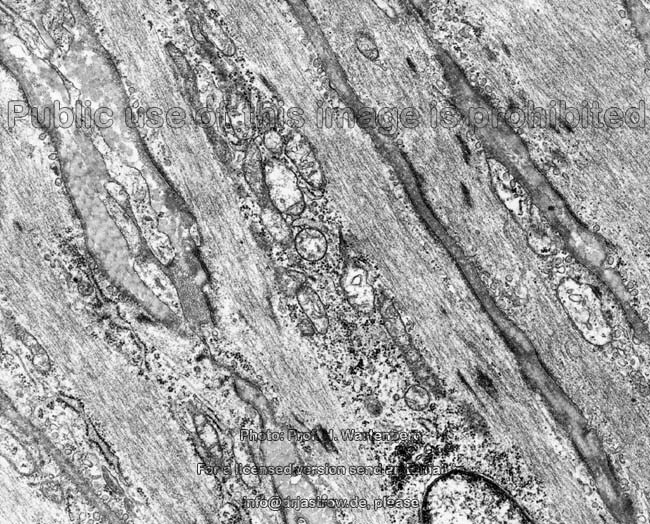 Almost perfect parallel order of actin filaments is seen in the I-band of striated muscle cells (images above). These actin filaments are linked to each other at the Z-stripe with help of the capZ-protein. 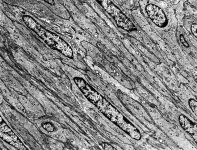 In the A-band myosin filaments are located between actin filaments. 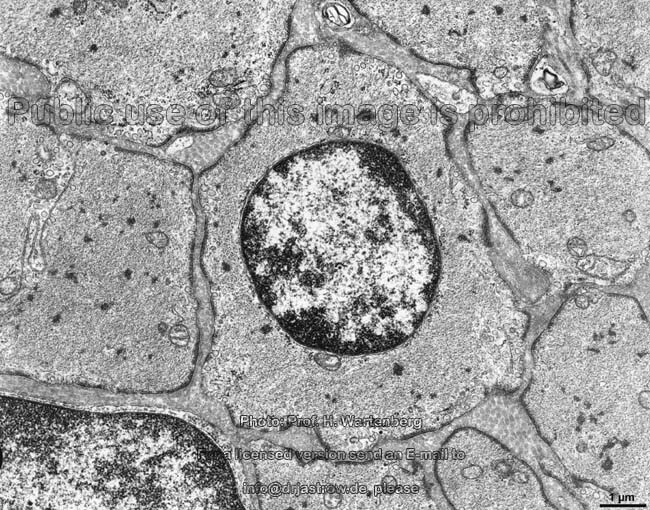 In general, the three dimensional shape of any cell mainly is caused by the organisation of cell membrane-close actin filament bundles and meshworks and their connection to the cell membrane which is realised by the previously mentioned linking proteins. 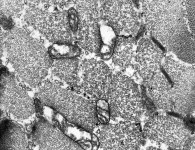 The latter also have connections to cell membrane proteins. 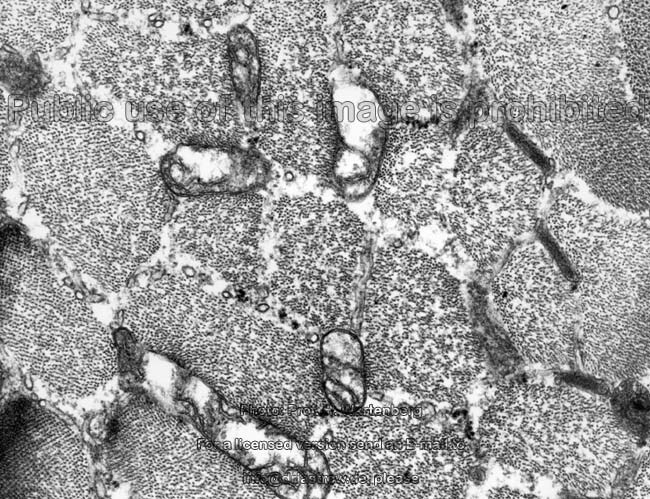 Thus these connections also stabilise the cell membrane. 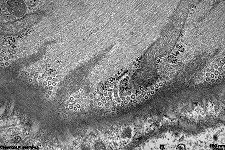 Five images were kindly provided by Prof. H. Wartenberg; other images, page & copyright H. Jastrow.